We did a fair amount of running around this morning doing wedding-related errands, despite my foul mood. Looking at the above photo of colorful Scooby Doo lollipops makes it hard to remember why exactly I was in such a bad mood. 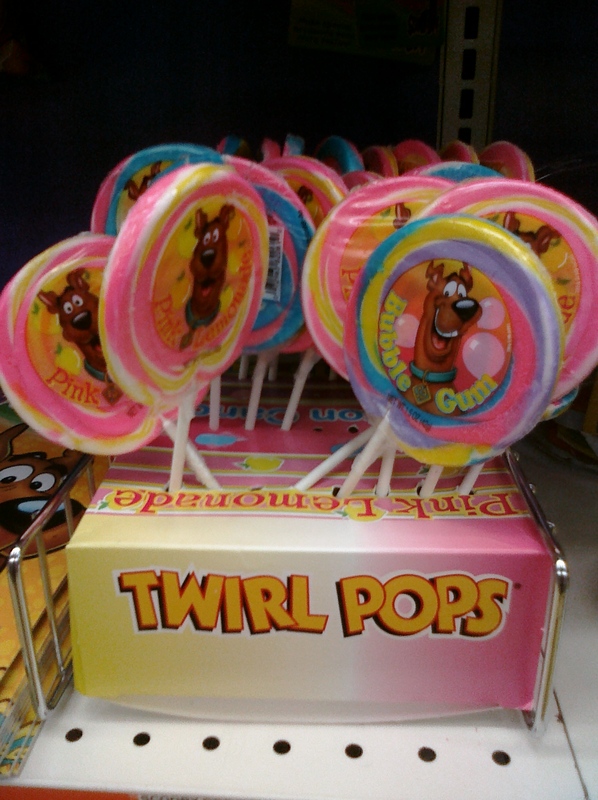 I blame the lack of Scooby Doo lollipops in my life. Things are coming together for the wedding, and I'm grateful for that. There's not a whole lot left to do, which is good, since there isn't a whole lot of time left to get it done. In the evening we took a stroll down Kent Trails. The storm took down a tree so part of the path was blocked. Makes for a hassle if your biking or have a stroller, I'm sure. It started to sprinkle a bit on our way back, so I suppose we were out just the right amount of time. By the look and sound of it, we're in for an evening of thunder and rain.